The Baron (Euthalia aconthea gurda) is a relatively common butterfly in Singapore. It can be found in urban areas, as well as in forested areas and even at coastal parks. 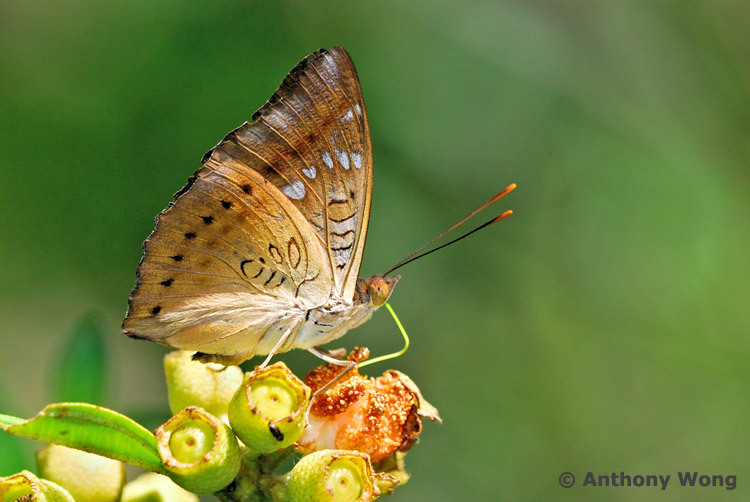 The preferred caterpillar host plant, the Mango (Mangifera indica) is cultivated in home gardens, as roadside trees, and can even be found at abandoned fruit orchards and nurseries at the fringes of our nature reserves. 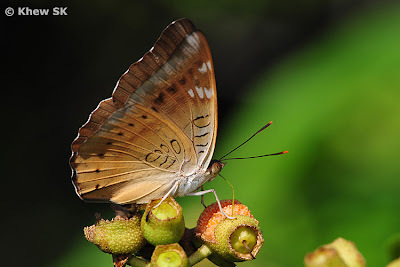 The species is quite widespread but is usually found close to the vicinity of its host plant (of which there are probably more than one host plant besides Mango). 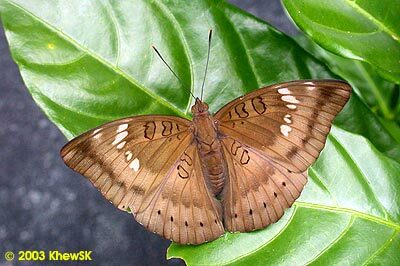 The butterfly is robust and skittish and has a powerful flight where it flaps and glides quickly amongst the foliage in parks and gardens. The wings of both sexes are dark brown with a broad but rather obscure post-discal band on both wings, the inner edge of this band is defined by a few white spots on the forewing. 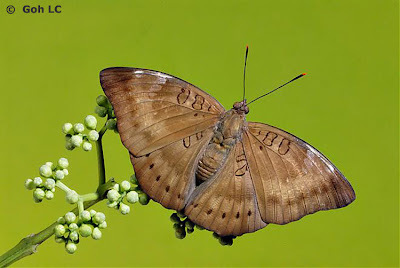 The female is paler in appearance and the post-discal white spots are larger than in the male. 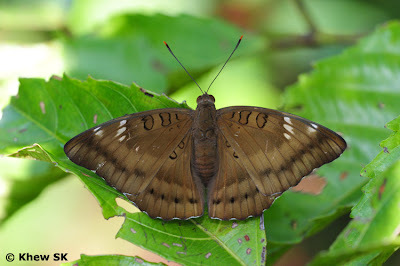 The underside is a paler brown with space 7 of the forewing whitened. Another female Baron with the typical five post-discal spots on the forewing with those in spaces 2 and 3 are smaller and moved out of line with those in spaces 4-6. The post-discal spots in spaces 2 & 3 of the forewing are moved inwards out of line with the spots in spaces 4-6. 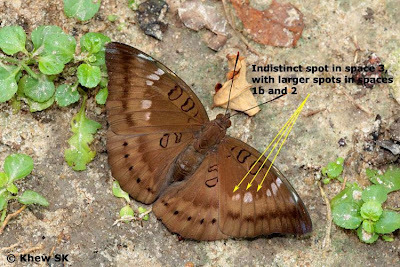 In the female the spots in spaces 2 & 3 are generally much smaller than in spaces 4-6. 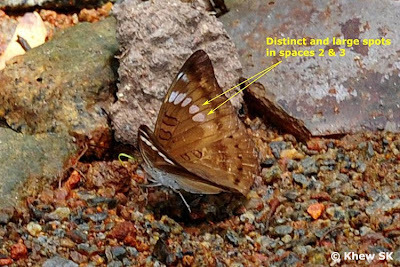 Over the years, ButterflyCircle members have taken shots of the species in various locations where the characteristic white post-discal spots are either missing or of varying sizes. 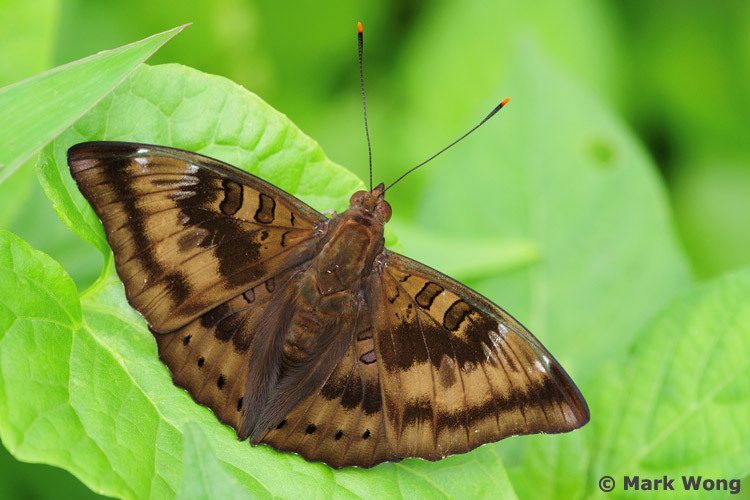 In the identification of butterflies, where even a single spot can suggest a totally different species this wide variability in the Baron, particularly in the females, is most intriguing. The first variant displays only three post-discal spots in spaces 4-6 with the spots in spaces 2 & 3 totally missing. 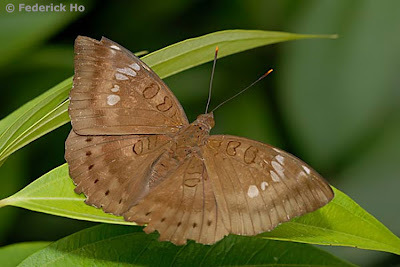 This is consistent on both the upperside and underside of the butterfly. 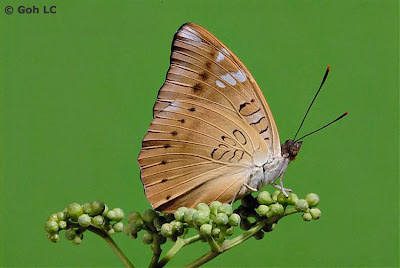 Whilst the males display more consistency in the post-discal spots, the females have shown a whole range of permutations in the presence (or absence) of the post-discal spots. 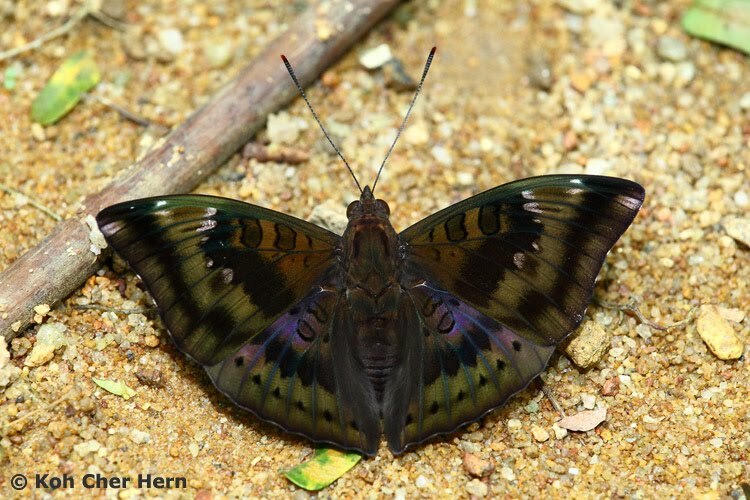 These variations appear to even suggest a totally different species! The variant shown above displays the typical five spot arrangement, but with the spots in spaces 2 & 3 almost in line with the other three spots in spaces 4-6. 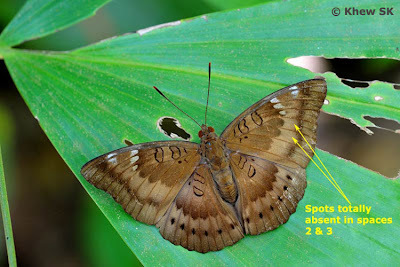 Another example of a female Baron shown above where the spots in spaces 2 & 3 are missing, but the spots in spaces 4-6 are small and indistinct. 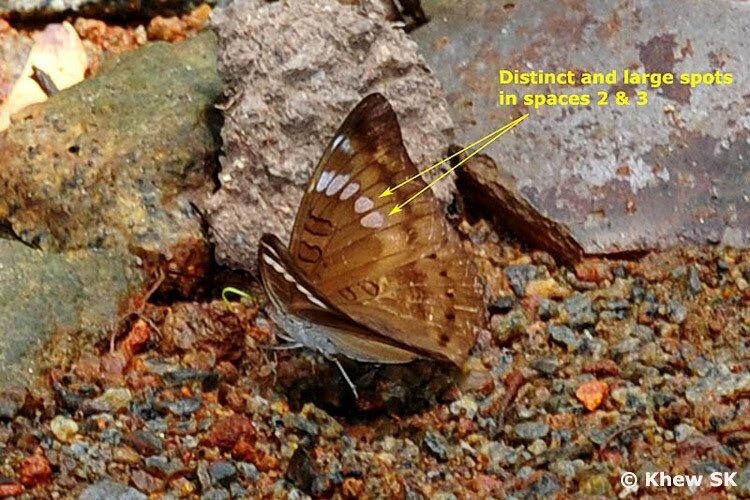 A rather unique individual of the female Baron where the post-discal spot in space 3 is very small and almost obscure, whilst there is an additional spot in space 1b of the forewing! Also note that the spot in space 2 is larger than those in spaces 4-6. Whilst the differences in the post-discal spots in the female Baron suggests that the species is highly variable in these physical characteristics, further field observations have indicated that they are not of a different species.